Welcome to Healing Through The Akashic Records! This class will take place on November 2 from 10:00 am – 5:00 pm and November 3 from 10:00 pm – 5:00 pm. Learn how to use the Akashic Records to heal your sacred wounds and dissolve your relationship with limiting patterns and behaviors. I am excited to take you deeper into your Records for powerful transformation. The Akashic Records are the archives of your soul and every thought, deed or action it has ever experienced. If you are ready for deep personal transformation and would like to be able to experience the true light of your soul free from pain, self-condemnation and resentment this is the class for you. In this class we will explore new areas of the Akashic Records and pull healing energy into your emotional, mental, physical and etheric bodies in order to balance and align your entire Auric Field. In addition to Akashic Records Readings and Angel Card Readings, I am a Certified Advanced Teacher in the Akashic Records Pathway Prayer Process© by Linda Howe. This means I can teach you Linda’s advanced work and I can Certify you to be an Akashic Records Practitioner. 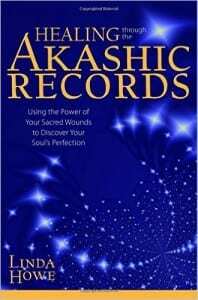 What are the powerful experiences you will have when learning how to Heal Your Sacred Wounds through the Akashic Records? You will learn about spiritual healing for your personal empowerment. You will learn how to expand your ability to love and be loved. You will learn how to let go of limiting personal patterns and behaviors. You will learn how to recognize resentment, unforgiveness and self-doubt as obstacles to peaceful relations with others. You will learn about the Ascension Matrix qualities of Gratitude, Grace and Generosity. You will learn how to live an Ascended life of joy and freedom. You will love the Akashic Records because you will find that every reading develops your powerful inner knowing, deepens your respect for this sacred and beautiful source and fills you with excitement and joy to learn so many deep concepts about yourself! 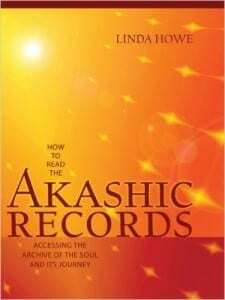 The only thing you have to do to prepare for the Certified Healing Through Akashic Records Practitioner class is purchase and read How to Read The Akashic Records by Linda Howe. and Healing Through The Akashic Records by Linda Howe. Note: it is very important that you buy the book, not the kindle version as you will need to go back an forth in the book during class, and kindle pagination does not match book pagination. Anyone that is ready for deep personal transformation and empowerment. Anyone looking for clear, practical, and applicable solutions for achieving peace and relief from lifelong pain and problems. Anyone that wants to discover how their pain is the key to their wholeness, wellness and goodness. Anyone that wants to improve their relations with others and the world around them. Anyone that wants to live an Ascended life of joy and freedom. I am very passionate about the Akashic Records and about Linda’s process of accessing the Heart of the Records through a simple, clear and powerful prayer. Since using Linda’s process for over a year, I have experienced deep long last healing and have gained more confidence in my ability to be spiritually independent. I have asked the Records about a very difficult lifelong pattern and was wowed at the information I received. I had no idea how many lifetimes I had been dealing with this issue and felt immediately relieved to learn that not only was there something I could do about it but that I was not crazy! With the Akashic Records I could finally stop beating myself up and take action using the steps I had been given. Once and for all, I was able to begin to break free from the negative cycle that has been controlling my life and making me miserable. Since becoming a Certified Akashic Teacher at the Linda Howe Center for Akashic Studies. I could not be more excited to share what I have learned with you! Whether you choose to take this class to become a Certified Practitioner of the Akashic Records in order to read for others or simply to read your own records you have come to the right place. All are welcome to enroll! Seating is limited and offered on a first come/first served basis. Special Note: All three offered Akashic Records classes are recognized by the Linda Howe Center for Akashic Studies and are applicable toward the qualifications of becoming a Certified Akashic Records Teacher. All payments for readings, classes, workshops or packages are non-refundable. If you cancel a reading or package session no less than 24 hours before the session, a transfer will be considered at the first cancellation. All readings and package sessions booked within 24 hours of the date are non-refundable and non-transferable. This class will not teach the material for How To Read Your Akashic Records. For a thorough teaching of this subject please see Certified Beginning Akashic Records Practitioner Class under the Workshops and Classes tab.